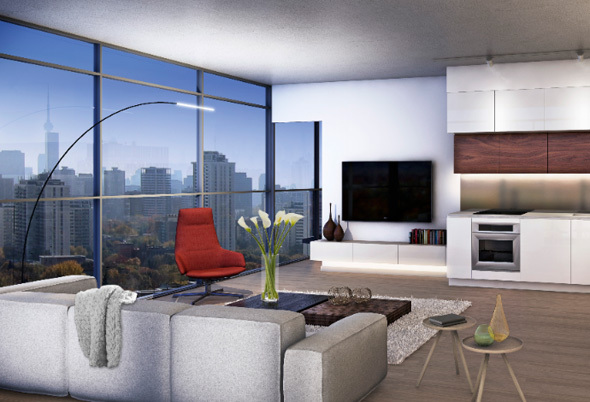 The Yonge and Eglinton area is about to welcome yet another condo development. 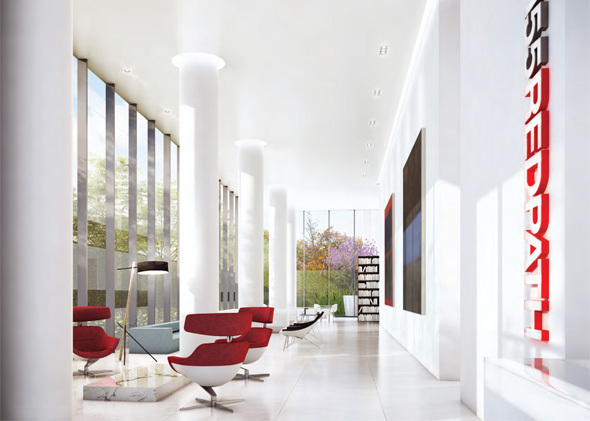 This one will land at 155 Redpath Ave, and while it's still on the mysterious side in that the developer has only released a handful of renderings, it looks like it might rate pretty well on that whole quality-of-life scale. Or whatever that's called. Anyway, this place has a boatload of amenities with comparatively low maintenance fees. Also, they seem to like yoga â a lot. Chill waves. Types of units: Studio, one plus den, two plus den. Amenities/building features: Outdoor pool & hot tub, outdoor shower, poolside cabana lounge, sunbathing area, gas fire pit lounge and BBQ, outdoor dining area, floor amenity space complete with a pool table, kitchenette area, meeting lounge, indoor washrooms with changing area, sauna, multi-level fitness centre, indoor/outdoor yoga facility, gardens, party room, deck and lounge areas. Though I write about condos just about every week, and though I think they clearly make sense when it comes to fostering the kind of density we need in the city, I'm less than thrilled with many developments. I'm not going to lie, though. This place kind of makes me want to ditch my apartment and move on in. The list of amenities that come with this property is actually shocking. It's madness. Poolside cabana lounges, fire pit lounges, multi-level fitness centre...I'm sorry? 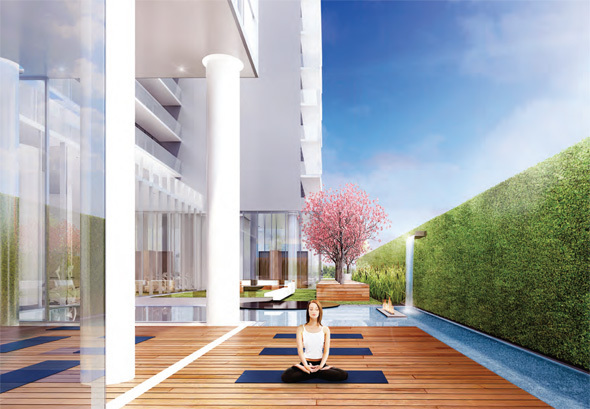 There are resorts in Toronto now, and you can live in one starting from the mid-200,000s? Correct me if that doesn't sound kind of amazing. The layouts look pretty good, too, with proportional attention given to living space and bedrooms. There are large windows, and most units offer balconies of some sort, as well. While this place seems like paradise, it has yet to be built. The maintenance fees seem a little on the low side to support such supposed grandeur, but innocent until proven guilty is the way it's gotta go. The one other issue I take with this property is something that's cropped up many weeks in a row. I hate to belabour the issue, but there are rooms without windows. Clearly, I'm not an architect, but I can't help but think that windows are a particularly important design component. We have yet to see renderings that more specifically reveal what the suites will look like, and obviously that carries the most weight. But if they feature brightness and the same clean design as the rest of the building, it seems like an ideal spot, if you're cool with living at Yonge & Eligible. I feel gross even typing that.